The Cervical Spine, or your neck, is designed for mobility and support of your head. Furnace Brook PT can treat your cervical spine condition or neck injury in 3 types of ways. The first are those conditions which give rise to only neck pain itself. From osteoarthritis, or spondylosis, to stenosis, to a bony spur, to a strain/sprain whiplash, to a fracture, or to a minimally displaced disc bulge; these are some of the frequent conditions we treat daily in the clinic. The third type of condition may actually not produce much in the way of neck pain at all, but still give rise to those nerve symptoms described as above. Examples of this may be thoracic outlet syndrome, or herniated discs. 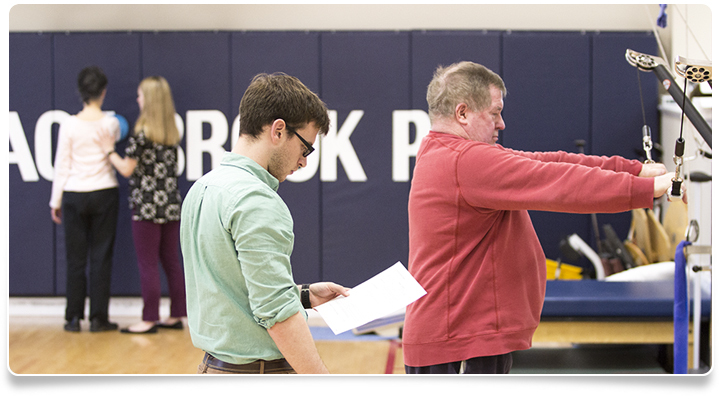 Staff Therapists of Furnace Brook Physical Therapy are well-trained to recognize what tissue is affected after a cervical spine injury, the principle behind treatment, the signs to monitor and report back to your physician, and the preventative home program you should follow once those symptoms are resolved. If you are experiencing neck pain or have been diagnosed with whiplash, osteoarthritis, a bulging disc, or other neck problems, Furnace Brook Physical Therapy can help. Call us today for an appointment at 617-770-4167. We serve Quincy, Massachusetts and surrounding areas.